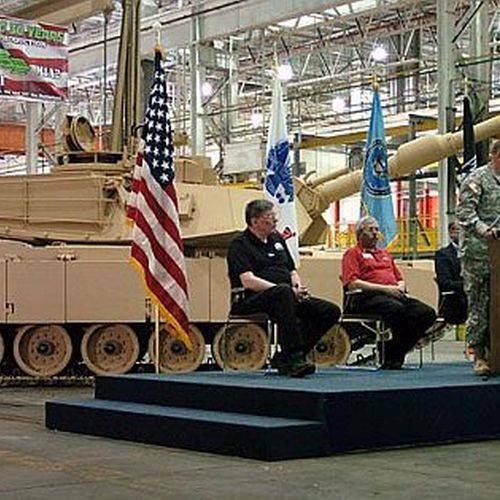 LIMA — The JSMC can now expect over a billion dollars worth of funding for upgrades to Abrams tanks and Stryker vehicles after President Donald Trump signed the National Defense Authorization Act on Tuesday. Over $1.6 billion will go towards upgrading Abrams tanks and ensuring that the deployed tanks have the most up-to-date technology, according to a news release. Upgrades include expanded firepower and enhanced protections against threats like improvised explosive devices. Additionally, $622 million will go towards completing the fourth and second Stryker brigades, which will include upgraded survivability and mobility and a weapons system. The upgrade will help the vehicles better withstand improvised explosive devices and protect American soldiers, according to a news release. Last year’s NDAA funding included $652 million to support upgrades to the Abrams tank and $579 million for the Stryker vehicle. Supporters of the NDAA funding were Senate Armed Services Chairman John McCain (R-AZ), U.S. Sen. Sherrod Brown (D-OH), Ranking Member Jack Reed (D-RI), Sen. Rob Portman (R-OH), and Sen. Gary Peters (D-MI). Portman believes that this funding is important because it will ensure that the soldiers have the proper resources and tools necessary to carry out their critical missions. Since 2015, Brown has highlighted the importance of the funding at JSMC, and he is glad to know that the funding has been extended.